Given my love of most forms of Motorsport pre-1982, it comes as a surprise even to me that I've never made the journey down to the Sussex coast on the second weekend of September to Lord March's little racetrack. 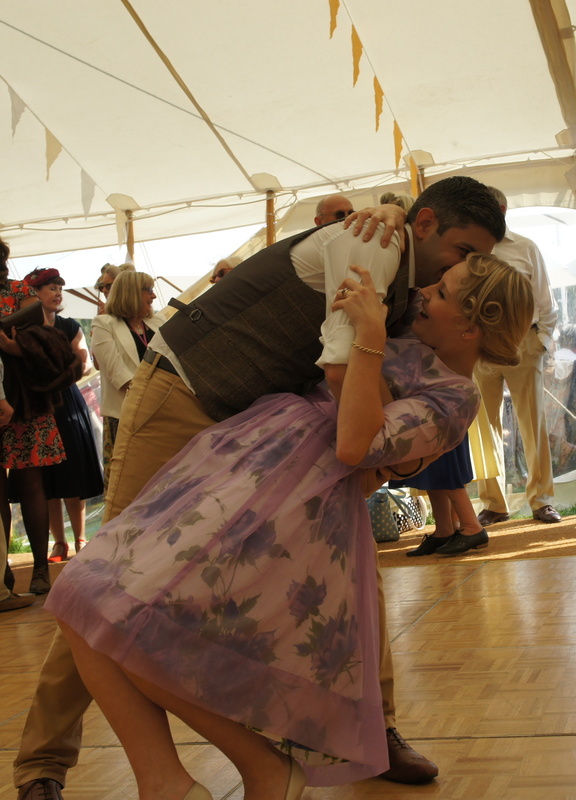 The Goodwood Revival is the social event of the season for the people of "The Scene". It is a terrible term that you hear regularly at the Rivoli Ballroom on Jive Party nights. Vintage people are a funny lot, but when an entire race circuit goes 1950's, no matter your inclination towards a Victory Roll, it is impressive. And it is just wrong to not make the effort. Goodwood is a rather famous estate. Part of the Duke of Richmond's estate (a very famous family, the 5th Duke was Aide-de-Camp to Arthur Wellesley, the future Duke of Wellington, in the Peninsular and later at Waterloo), which includes the Glorious Goodwood horse track, the house and the rather impressive golf course, the circuit is famous for the events hosted in the 1950's and 60's. Based on the perimeter track of the old Westhampnett aerodrome, the fighter station from which Douglas Bader flew his last mission, Goodwood Circuit is a 2.4 miles run through the south downs. Its a tricky little blast as Sterling Moss found out to the cost of his career and Bruce McLaren at the cost of his life. Granted both suffered mechanical issue, but the circuit was unforgiving. The names of the corners are rather famous in racing circles, St Mary's, Woodcote, Madgwick and Levant all have their special place in the racing fan's heart. It is a magical place. Heading down with a group of my closest friends, it does become very quickly apparent that the chance of actually watching some racing diminishes when the majority of the group are there more for the occasion than the cars. It is a good thing I was in such wonderful company. Seeing friends whirl around the dance floor of the Veuve Clicquot tent, the joy of being in good company on a beautiful autumn afternoon when, frankly, we should have been at work, is a true joy to behold. Escaping from the family, I wandered, taking in the lovely sights of people who had obviously spent far more time than I putting themselves together, I found aircraft I loved, static and flying, the odd chance of a wonderful shot and even a pint of the local drop when the sun necessitated re-hydration. While walking back to the paddock, the air was alive with a most perfect sound, the note of Maserati's most perfect creation, the 250F. An Italian straight six at full chat is a joyous noise, especially when there is one of the most wondrous Formula 1 cars built around it. Entering the show paddock, I found I could get close to my favorite Formula 1 car. The car Fangio won his final World Championship, the car that Moss declared the perfect racing car, and between them, win the car it's 8 victories and its place in history. Walking through the paddock as the cars returned from the practice session, I was fortunate enough to met the owners of the car Moss drove to victory at Monaco in 1956. The Adelman's beautiful car is as it was, no roll hoop, no seat belts, a pure 50's racer. Well, a pure 50's racer with a blowing carb. Graham and Sharon we delightful and kind enough to allow me to geek out a bit over their Moss car and share their enjoyment about being able to race it. And no, Graham still hasn't let Sharon, a mean Formula Junior racer by her own admission, take their multi-million pound prize out for a spin. I reckon it is only a matter of time. The Goodwood Revival is everything a society event should be, with added racing cars. Given the remarkable crowds, it is more than a racing event. It is a perfect amalgam of everything you want when the sun is shining on a autumn weekend. It is a wonderful day out in clothes older than you and, in most cases, older than your parents.